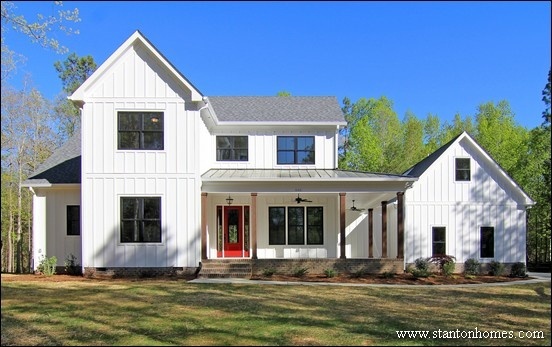 White is the number one color request for new modern farmhouses in NC. 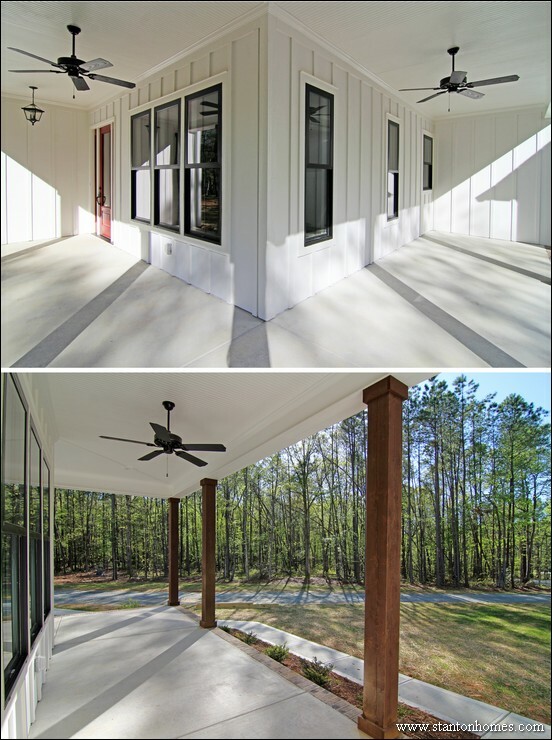 Big covered porches are the most popular feature in modern farmhouses. 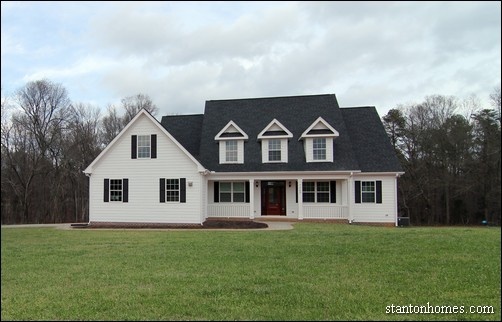 Dormers are a frequent feature on new Modern Farmhouses in NC. 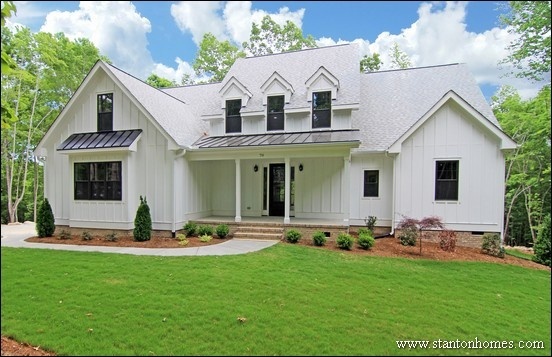 Metal roofs remain popular - especially as accents, like this Raleigh custom home. 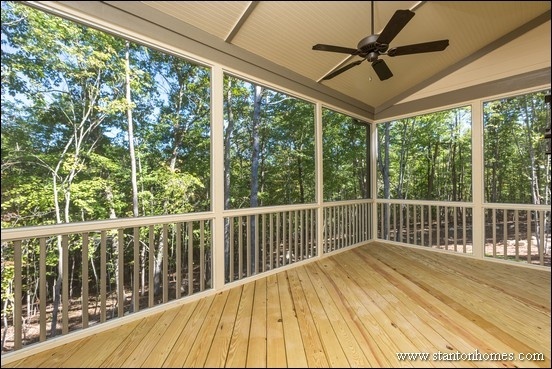 Outdoor living is a huge draw in NC, with screen porches a top request for new homes. 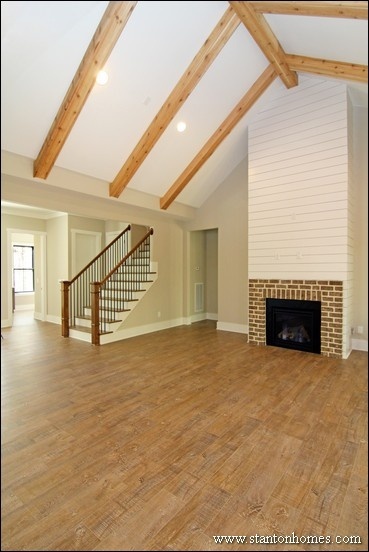 Beamed ceilings help set open areas apart, like this kitchen/great room. 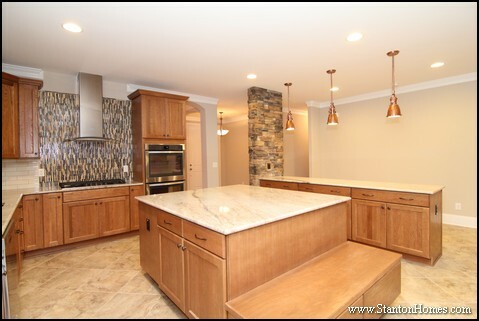 A big island in the kitchen provides the opportunity for everyone to gather together. 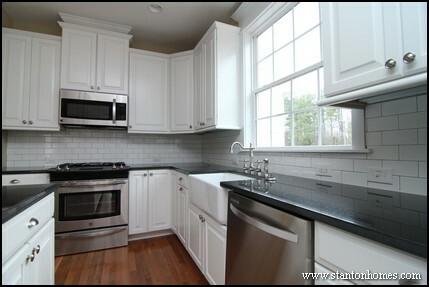 White kitchen cabinetry is often the choice in new modern farmhouses. 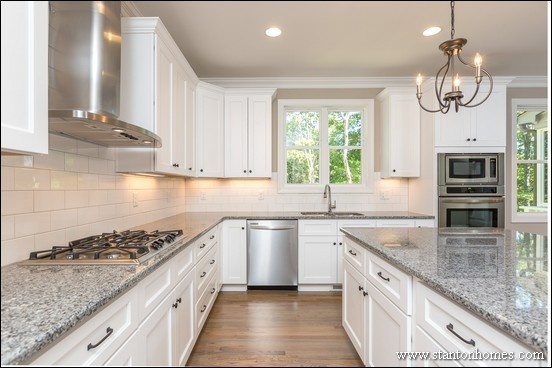 Exaggerated lighting calls attention to specific areas, like this kitchen island. 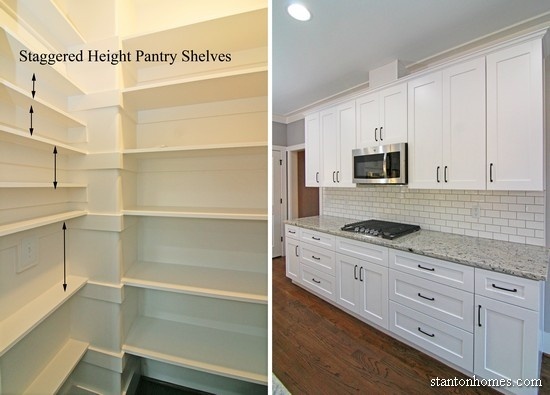 Big pantries with custom shelving is a huge hit in NC custom homes. 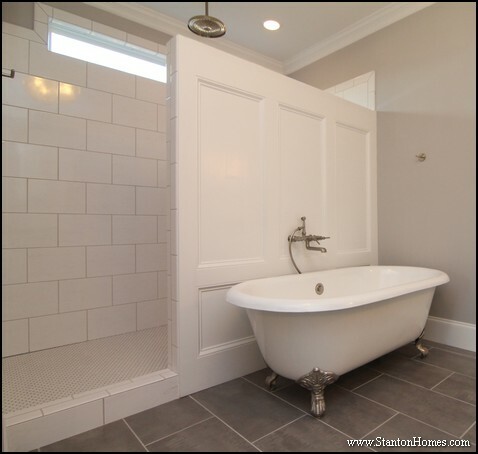 This Chatham Country modern farmhouse bathroom has classic simplicity. 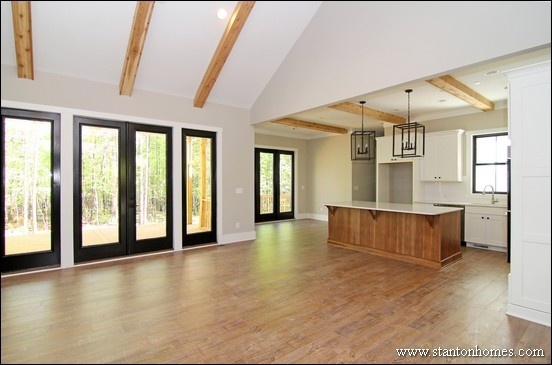 More natural light is one of the top trends for modern farmhouse new homes in NC. 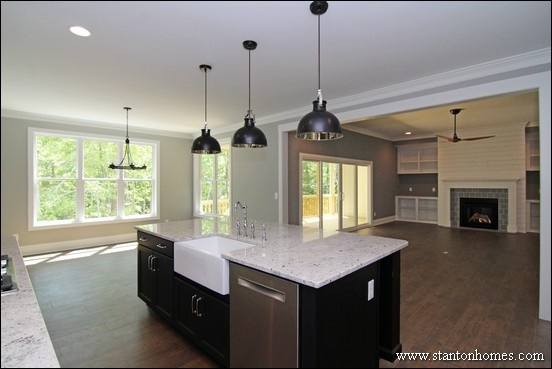 Drop zones provide a place to put things you want to find easily, like this modern farmhouse. This modern farmhouse has built-ins all over the place. 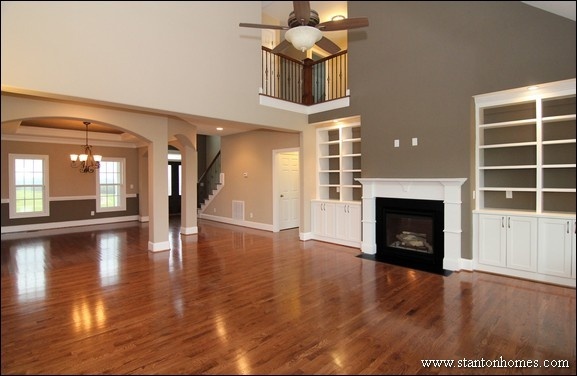 Even the smallest of features can make a big impact in custom homes, like this custom built wine rack. Or trim features such as ship lap and beams. 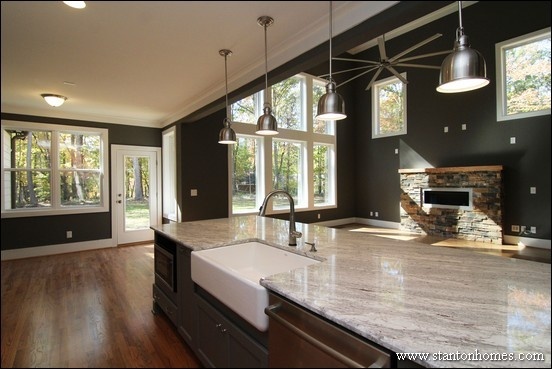 Real hardwood floors remain a solid choice for NC modern farmhouses. Wainscoting can help detail a country style bathroom.